Are you “in tune” with your employees? Summertime provides a wealth of opportunities for employee engagement. 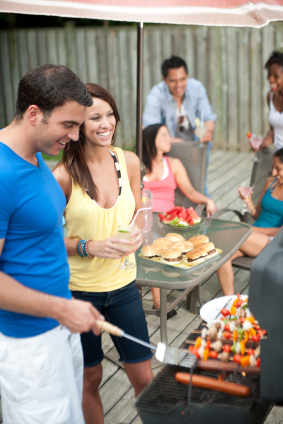 July and August tend to be more casual months when barbeque and beaches are in the forefront of everyone’s minds, so why not use that mindset to organize events and company fun to cultivate relationships with your employees? 1. Have a vision of where you want to get to. 2. Clearly and persuasively communicate that vision to employees. 3. Be consistent in your behaviors as you strive to achieve that vision. Summertime Vision Groups are great opportunities to review your company’s vision, discuss your goals and mission statement, and set employee and management expectations. It’s also a good idea to review year-to-date performance and get employee buy-in to proposed changes to increase efficiency and performance. Organizing the event is one thing. Participating in it is something else entirely. If you truly want to increase your level of employee engagement, be a part of the event you put together. Grill some burgers at the company barbeque. Be a kid again and play some games with the men and women who work for you. Get in the middle of it all and have everyone take pictures to decorate their cubicles or break room. Your smiling face and a pleasant memory of your fun workplace can go a long way towards helping them through a bad day some time in the future. Ken Blanchard, author of “The One Minute Manager” and leadership authority, simplifies the team-building concept with the words, “None of us is as smart as all of us.” The summer months are typically the best time of year to do training and team building, provided it’s not your busy season. Encourage employee engagement by offering choices of exercises or seminars. Allowing workers to participate in the decision-making process gives them a sense of ownership that will increase productivity and employee retention numbers. There’s no gift more precious than the gift of time during the summer. Everyone wants to spend more hours with family, go on vacation, or take a long weekend at the beach. Morale is important. Successful companies are those that have happy employees. Marilyn Carlson, former CEO of Carlson Companies, says it best, “On what high-performing companies should be striving to create: A great place for great people to do great work.” Is that what your company offers? Employee engagement is difficult to define, but you “know it when you see it” (with thanks to Supreme Court Justice Potter Stewart for his much paraphrased quote). Companies that genuinely cultivate strong employee culture know these things to be true. They see the results; employees live it, customers know it, recruits know it. How can companies develop a more engaged workforce by building a more customer-centric culture? It all starts with happiness, and that’s great news! You may think happiness is amorphous; that’s it’s a know-it-only-when-you-see-it thing, as Justice Stewart did (albeit about obscenity in a movie). 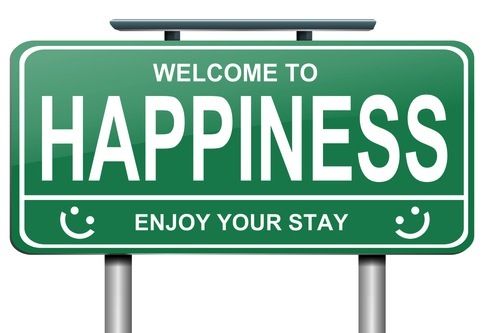 In recent years an entirely new scientific field has developed — the study of happiness. Pioneered by University of Pennsylvania psychology Professor Martin Seligman, this field has grown into the Penn Positive Psychology Center . Dr. Seligman’s work has important implications for employee engagement. Happy people are much more effective in many ways that are highly valued by organizations. Happy people can be identified, so they can be recruited. Believe it or not, one study shows individual’s long-term happiness can be determined by a photo! It’s true; an “authentic” Duchenne smile is a valid predictor or many traits associated with happiness. First, it comes from using personal strengths. Next, it comes from gratification; “calling on one’s strengths to meet a challenge”. Gratification results from doing something meaningful; it is not just doing some pleasurable activity. Next, gratification; it comes from doing something worthwhile, something someone believes in. Do I know my team members’ strengths? Do we agree on those strengths? Do we, together, agree what tasks and projects give them the best opportunities to develop, showcase, and create value from these strengths? 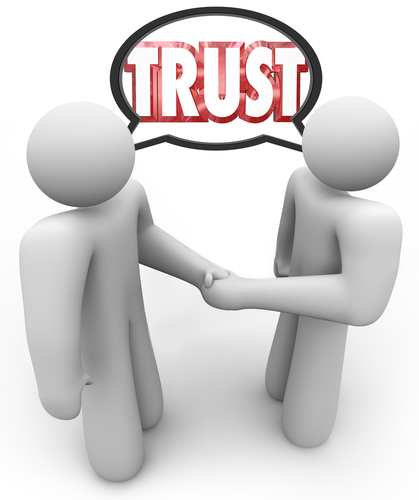 Do we identify and agree on the results from their projects that constitute success? Then, do my team members similarly identify the strengths of their team members? Workplace activities and behaviors that are likely to inspire happiness. The value of collaboration in happiness. How happiness can be learned, and taught. Do you think of your employees in terms of their happiness? 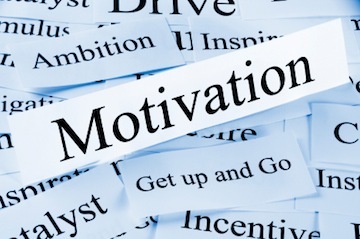 What workplace efforts do you employ to inspire happiness? Datotel revamps its workplace gifting program to make it more meaningful. Learn how you can too! “David Brown thinks it’s important to make his employees feel valued. So Brown, founder and president of Datotel, an IT services and data storage business in St. Louis with 38 employees, was dismayed when he realized his employee-of-the-month program wasn’t helping morale. Heintz notes: Though a decent bonus will always be a highly coveted form of recognition, employers often underestimate the degree to which workers value kind words delivered face to face. That may sound like good news for companies looking for inexpensive ways to show appreciation to employees. In many ways, though, it’s easier to hand out a bonus than to create a culture in which saying thank you is a regular occurrence, she opines. Though Brown started the employee-of-the-month program as an easy way to ensure staff felt appreciated, he learned from employees during informal conversations that a less formal, more personal approach would be more effective. Designated 15 minutes of each weekly management meeting to do the same. 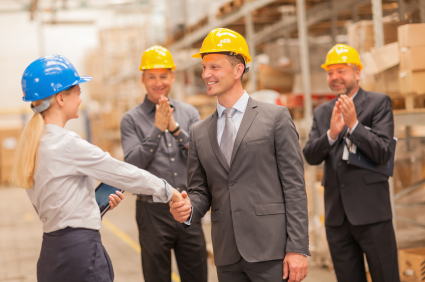 Encouraged managers to thank employees from other departments — in person — for extra efforts. Set an example by thanking employees several times a week, often through handwritten, mailed notes. Last June, Brown mailed a handwritten note on Datotel stationery to engineer Stephanie Lewis’s home. He thanked her for her hard work and mentioned that managers had praised her customer service efforts. The personal, unique note from her CEO made her feel important and valued, Lewis reveals. All from a simple thank you. How do you ensure your employees feel valued? How do you make your workplace gifting personal? Employee recognition is critical to the long-term success of your company, regardless of what business you’re in. The folks at Gallup recently published the latest installment of their multi-year “State of the American Workplace”. Gallup’s bottom line is pretty depressing: Only “30% of the U.S. workforce is engaged in their work…meaning the vast majority of workers are not reaching their full potential”. Never mind that objective definitions of their critical measures (“engaged”, “not engaged”, or “actively disengaged”) are missing from the study, so it’s hard to know what they’re really talking about. Regardless, let’s take Gallup at their word. They’ve been sizing up worker engagement with this survey for more than a decade and companies are buying it; the survey has a gigantic sample size; and, most important, the survey asks some pretty good questions. In the past seven days, I received recognition or praise for doing good work. At work my opinions seem to count. Fair enough. This is all basic stuff. But if it’s not happening in your company/organization, it’s no wonder workers are “not engaged” or worse, “actively disengaged”! Everyone deserves to know where s/he stands at work, to know their constructive opinions are valued and encouraged, and receive direction to become more proficient — at every level of the company, in every workgroup. All this brings me to one of my favorite management “gurus”, Tom Peters. I like Tom because he forces you to think, re-think, and think again. You say “plan”; he says “planning is b.s.” You say “focus”, he says “W.T.T.M.S.W” (whoever tries the most stuff wins). Tom’s twitter bio includes “professional agitator” and “the Red Bull of management thinking”. Check out his rants. So, how do we apply Peters’ Principles to Gallup’s engagement survey? In Peters-speak that’s “Management By Wandering Around”. If leaders were “wandering around”, Gallup’s Q Score would be wouldn’t be stuck with about 2/3 of American workers “disengaged”. Company leaders must meet customers, must visit factory floors, must shop their own stores, must hustle suppliers and, in Peter’s works, must “cherish your people”. If leaders do it, at all levels, subordinates will do it; and workers will do it. “Cherishing” others’ work means we are engaged; they will be, too. And it has to be continuous. That’s employee recognition in action. Jack Welch, legendary CEO of General Electric, famously budgeted his time at the beginning of each year — a set percent devoted to meeting customers, to meeting workers, to meeting suppliers, to training future leaders. And he followed his plan. So, if you want engaged employees, engage them; it’s all about employee recognition. Your company will be better for it. Click to Download Our Employee Gift Guide Now! The article quotes George Bradt, managing director at PrimeGenesis, an onboarding and leadership consulting company based in Stamford, Conn. He also blogs for Forbes. Companies are realizing this philosophy is necessary, the article notes. It’s not just about the bottom line; the key is to make employees enthusiastic right from day one. Make it easier with personal attention and a small gift. It doesn’t have to be elaborate or expensive, but a thoughtful “welcome to the team” gift might be just the thing to build your company’s reputation as a great place to work. Your next search for the best talent will likely be that much easier. Gift certificates or gift cards—preferably ones that enable employees to select their own items, shop at their store of choice and even share with their family. Desk goodie basket—healthy snacks as well as treats. 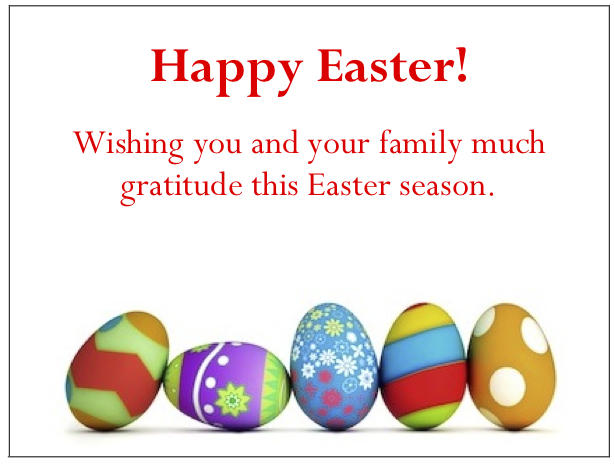 Greeting card—a personal message from management and staff. Lunch—catered in a conference room, in the company cafeteria, or a local restaurant. Put a small gift on new employees’ desks each day during their first week. Try a gift certificate or card on Monday, chocolates on Tuesday, fresh flowers on Wednesday, a cupcake from a local bakery on Thursday, and Friday, a coffee mug with your company’s name on it. If they’re new to the area, give them a stack of menus to popular local restaurants and coffee shops, and a bunch of brochures for local museums, theaters and other attractions. You just spent $40 and did something your employees will always remember. How do you make new employees feel welcome? Learn more about how employee appreciation helps your employees feel valued, keeps the workplace motivated and improves your bottom-line! If your gratitude doesn’t feel sincere to your workforce, it won’t yield the positive results you’re hoping for. That is the question, says the intro to “Gratitude and Employee Recognition,” a #TCHAT Radio show by TalentCulture World of Work Community on BlogTalkRadio. TalentCulture founder Megan M. Biro hosts the show with co-creator Kevin W. Grossman. The expert guests are author and blogger Ted Coine, along with Rob Catalano of Achievers. “ … Acknowledgement keeps employees on a path for engagement and productivity. Positive feedback fuels individuals and teams to continue delivering outstanding results. And in the aggregate, it keeps organizations focused on key success factors, and drives business momentum,” the TChat summary says. “[That need makes] the human touch so important to effective recognition,” she writes. Gallup found that as its scoring methods found differences in the amount of recognition employees received, productivity and revenue—even retention of loyal customers—changed by 10% to 20%. “It is an amazingly simple concept to give people the praise and recognition they deserve,” Saunderson writes. Take the time to think through what you’re going to say so it comes from your heart. If you mean what you say, look employees in the eye, and give specific, timely examples of accomplishments you’re grateful for, employees will know you’re sincere. Thank them for doing good work. Express concern for their well-being. Demonstrate respect in day-to-day activities. Honor those who have made significant contributions to your company. Appreciate the little things people do for you and others. “This simple act of acknowledging and recognizing people is so taken for granted that nearly 20% of employees leave organizations because of insufficient recognition,” Saunderson writes. How do you know when someone’s workplace thanks are sincere? Click to Download your FREE Guide to Employee Gift-Giving by gThankYou! 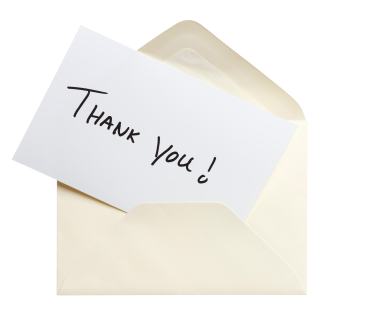 The humble handwritten thank you note can boost your company’s bottom line, believe it or not. A recent Forbes article by Josh Bersin, founder and principal at Bersin by Deloitte, illustrates the point. His article, “New Research Unlocks the Secret of Employee Recognition,” cites his company’s comprehensive research project on employee recognition showing that organizations giving regular thanks to their employees far outperform those that don’t. Companies scoring in the top 20% for building a “recognition-rich culture” actually had 31% lower voluntary turnover rates. Put another way, recognizing employee’s contributions shows you’re paying attention and that you care. It makes people feel valued. When you write a thoughtful note of gratitude, it’s also a permanent keepsake reminder. Her research at Emergenetics suggests most employees appreciate personal thank you notes, if they’re personalized and meaningful. To be meaningful, notes should be specific and prompt. And to reward behaviors you want people to repeat, be sure to recognize efforts involving those behaviors. 2. making thank yous public. Consider displaying a list of employees you’ve recognized in your company newsletter, on bulletin boards, or via social media. The best practices his research project uncovered also recommended including peer-to-peer recognition and making it easy for employees to recognize each other frequently. For more on new “social” peer-to-peer recognition, you might enjoy Incentive Magazine’s article, “The Pressing Case for Peer-to-Peer Recognition” by Andrea Doyle. How often and on what occasions do you write employee thank you notes? Do you ever have peers write thank you notes to peers? Are You Ready for National Employee Appreciation Day? 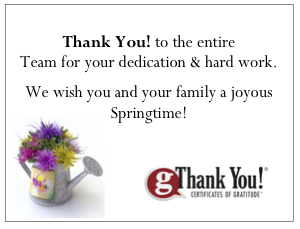 March 1st is the Perfect Day to Celebrate Employees! Here’s Why: It’s both National Employee Appreciation Day AND World Compliment Day! Wow, how perfect is that! Celebrating employees should be a regular event at any workplace, but sometimes there are days that are fun and are so well suited to tie in your recognition events, it’s hard not to take advantage of them. This Friday, March 1st is one of them. Don’t despair if you don’t have any plans yet. Making employees feel valued can be a simple as a heartfelt “thank you”. Make your thanks public – thank employees as they walk in the door Friday, over lunch at the cafeteria, in the plant and posted on your internal internet. You can even post your gratitude on the World Compliment Day tweet stream at: @complimentday. Time permitting, a handwritten note delivered personally really shows you care. 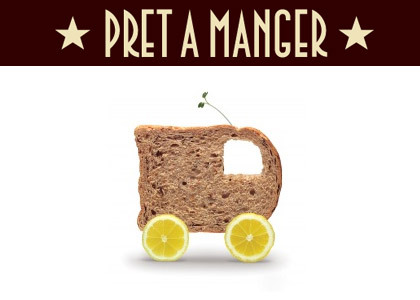 It’s a great day to host that workgroup breakfast or lunch you’ve been talking about. Make it easy and fun. Order in pizzas or welcome all to a spread of ice creams and toppings, a sure way to brighten everyone’s Friday afternoon. And, if nothing else, be generous with your gratitude and appreciation. It will be appreciated! What’s your favorite way to show employees they are valued?